The killer she can’t escape . . . The heartbreak she can’t forget . . . The one man who can stop them both. Nov 7 I clicked and voted at we’re on the fence. Sounds like a fun thriller to read. I’d like to win this book. Thanks for the chance. Thanks for another great giveaway! 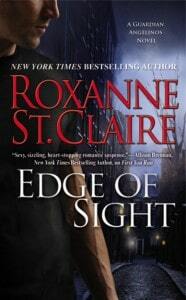 I would LOVE to read this book as I like romantic suspense books. Follow Roxanne on Twitter @MamaHendo3. “Like” Simply Stacie on FB (Laura Grassie Henderson). “Like” Roxanne on FB (Laura Grassie Henderson). Joined Simply Stacie Blog Frog Community.